Perhaps the most famous landmark in Burma, Shwedagon Pagoda has been a focal point for life in Yangon for a very long time – it has reputedly existed in some form or other for the last 2,600 years. It reached its current height of approximately 114m in the late 1700s after the most recent rebuilding as a result of multiple earthquakes. 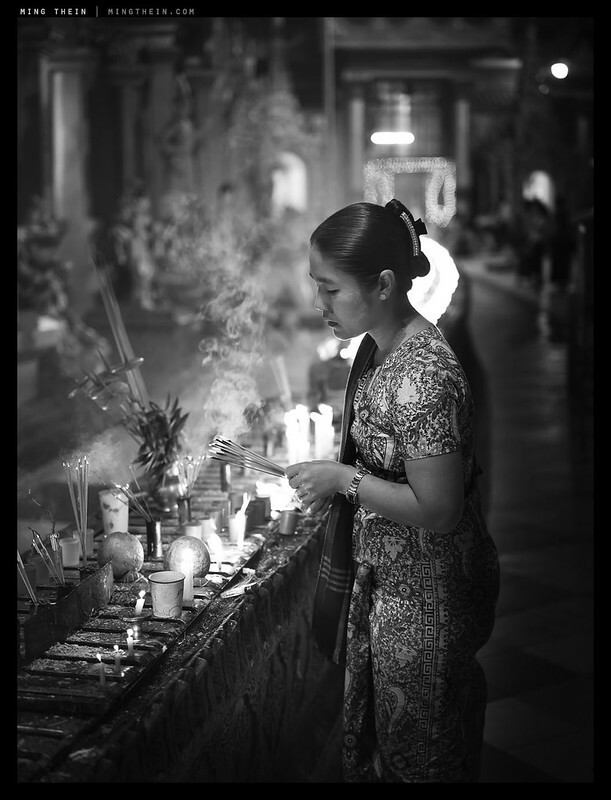 It is thought of as the most sacred location for Buddhists in Burma, with the relics of multiple past Buddhas housed within: the staff of Kakusandha, the water filter of Koṇāgamana, a piece of the robe of Kassapa and eight strands of hair from Gautama – the one traditionally thought of as Buddha. An exact replica exists in Naypyidaw (the new capital of Burma). 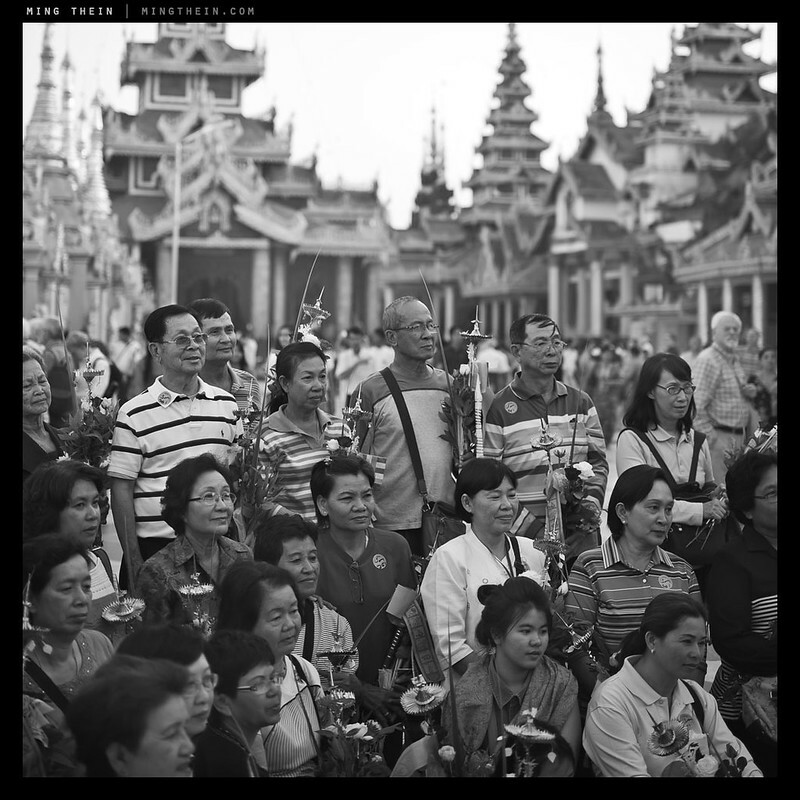 The pagoda and surrounding areas are bustling with life at all times of the day; there are about as many devout locals coming to pray and make offerings as there are tourists with cameras and visiting monks. They then stay, meet friends, watch the world go by – it’s important to remember that until very recently, Myanmar didn’t really have much in the way of entertainment. All four approaches to reach the Pagoda proper from street level take the form of grand covered sets of stairs, flanked with stores and stalls. The stairs are kept clean by teams of volunteers who sweep on a regular basis: this is important because from the lowest stair, shoes are forbidden. You can carry them with you, but not wear them. Despite the large number of people, it’s a quiet, respectful place and feels peaceful. Photography is of course allowed, and there are roaming teams (packs?) of photographers who will snap your portrait in front of the pagoda and then sell you a print for a not-so-reasonable price. Interestingly, though the plaza bakes in the sun all day, the white marble tiles stay cool; avoid the black/ gray slate, as these will roast your feet to a crisp. I apologize for heading back to an old thread, but I don’t want to ask this question on a rangefinder-centric message board. 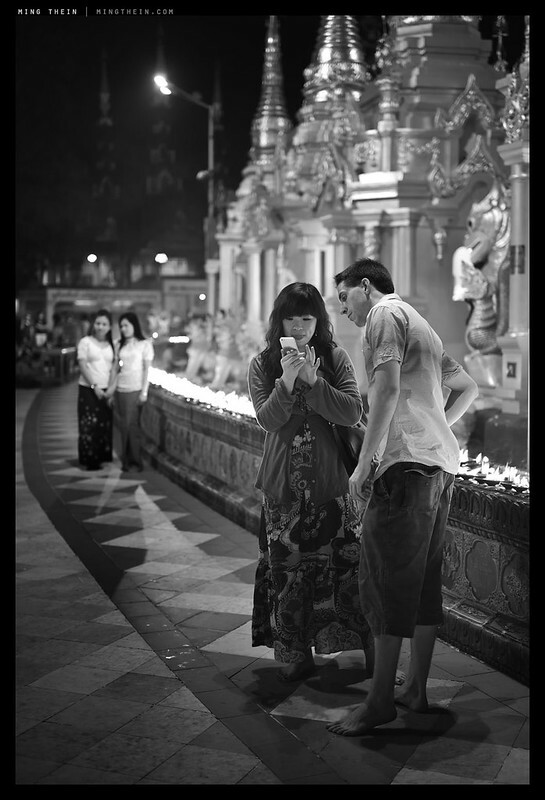 For someone who has always used SLRs and DSLRs, just how frequently does one have to have the focus tuned by Leica? How does that compare to working and traveling with two DSLRs and without much concern for things like a mechanical focusing mechanism adjustment? I’m just looking for a no-bull evaluation of that single aspect of owning a digital rangefinder. Thanks in advance! Great community and site here! Realistically: if you are changing lenses frequently, or acquiring new lenses frequently, the answer is very often. So often you’d better have a local guy or be willing to get your hands dirty – sending the whole kit back to Leica every time you get a new lens is unfeasible because their turnaround times are long, plus there are shipping costs involved. The moving cams that measure focus position will eventually drift, and not all lenses agree where infinity is. In practice, I used to check every week or so and certainly before every major job – and this is from the perspective of somebody who worked seriously with two M8s, then an M9, and was involved in the development of the M240. I carried the tools with me at all times to make field adjustments. DSLR: adjust the mirror once, and that’s it. I’ve only ever done it once in the lifetime of my D810/D800E etc. cameras, and that’s when installing a split prism focusing screen. That’s what I needed to confirm. Thank you, as always, for answering questions so promptly. From this statement, I assume that you think there is little difference b/w an actual B&W photo taken by the MM and the converted B&W by the M 240, or are there situations where you would find the MM still exceeds the M 240 conversions? I keep reading that if you print large then one can see the differences b/w MM and M 240 photographs, but for goodness sake, how many pictures can you blow up and hang on the wall? Who has that much wall space? And unless you’re successful at selling B&W photos, is the MM redundant in most cases where you can use color photos from the M 240 and convert the file to B&W? Thanks Ming! I found your “Intro to PS” very very helpful. Instead of doing layers and masks and etc., spending hours behind a desktop (more work than fun) instead of shooting photos, I found that tutorial very helpful in streamlining my basic post processing. I hope to attend one of your workshops someday. Resolution of the MM still exceeds the M 240; one requires Bayer interpolation, one doesn’t. Tonality of the MM is better out of the box than the M 240, but the M 240 can be brought pretty close with a little judicious photoshop work. I’d personally prefer to have the flexibility of channel mixing and colour; I can live with the slight decrease in resolution and pretty much make up the difference in tonality. But I read that the MM without the Bayer interpolation is only about 24mpx (i.e., equal resolution of the M 240). From your comparison b/w the MM and the Nikon D800E, I guess you’re saying that the resolution is closer to 36mpx? But in reality, besides these huge prints, does one miss this resolution in most practical applications? And I suppose that’s what you’re saying when you say you can live with a slight decrease in resolution. What about dynamic range? I read that the DR, but what do you think compared to the MM? Something got screwed up in those last sentences. I meant to ask that I read that the DR on the MM is incredible in the shadows, but what do you think in comparison to the M 240? It’s comparable to the D800E. No, 24MP if shot properly is more than enough for most applications. DR-wise they’re about the same. Lovely images, Although its B&W I can see the color in them… my mind paints the color… just a wonderful feeling. Love your work. Just seen your pictures. I am taken back as it regards the beauty and drama. Just wonderful, like a journey to an unkown country. Never been to Burma! – I have one technical question: which tools or postprocesssing procedure you had been using to convert from color to black and white? Recently it seems you are using a 28 ‘cron instead of the Elmarit ASPH. Could you briefly compare the two and do you find the ‘cron sharp for distance objects/views? Very nice set of photos. I specially like the fourth one. Nowhere near what M Monochrom quality images, but this is about the best I’ve seen from the M240. The M240 is closer to the M9 than to the MM, for B&W. Yes and no, I’ve shot all three – the M9 tends to block up or overexpose; the MM is quite linear and shadow-biased, the M240 is somewhere in the middle simply because it has more DR. I think “to evoke the feeling of an earlier period” in addition to the absence of colour you might need to avoid those modern day T-shirts and cell phones in many of the pictures! Granted, Might be a hard trick to pull off at such a destination. incredible willpower you’ve got to see in monochrome at a location that screams color. I wouldn’t be able to resist. No can do – I’d have to somehow evict half of the people there! Beautiful photo essay; thank you for posting. You did a great job of showing how colorful the place is. No small feat when you’re shooting in black and white. I was there in January during sunset. To me after seeing the Grand Palace in Bangkok and the serene temples in Bagan the whole place felt more like disneyland. I got the same impression too. Just as many worshippers as tourists, touts and tour groups. As a perpetual beginner — still fumbling, after all these years — I’m curious about the final image in the series. To range from a direct shot of the sun in the left third of the frame to recognizable detail in faces and other shadow areas of the right side strikes me as extraordinary. Did this require duplicating the image, processing for highlights and shadows, then blending? Or was it all handled as one frame? If you say it was a matter of proper exposure in camera I think I’ll just give up and quit. Actually no, the sky was clear so only the area with the sun and immediately around it is blown out. It’s a single frame and a carefully placed centerweighted exposure. Thanks for these pictures, Ming. 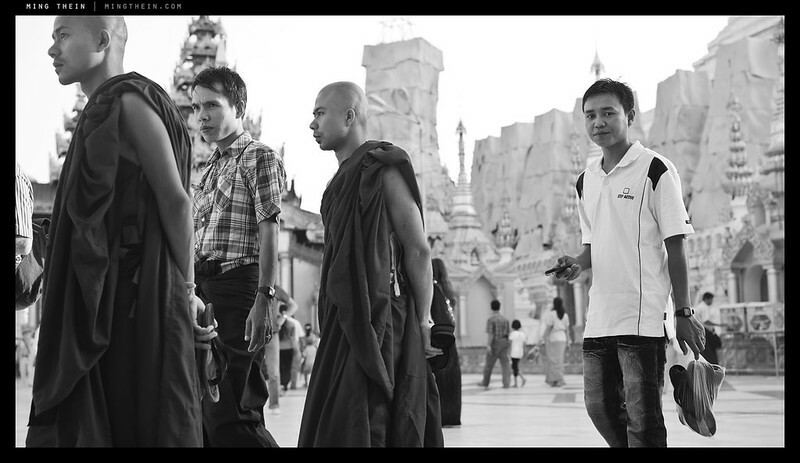 Shwedagon Pagoda is a new place to me, and it’s now inked in my memory in B&W. It’ll be interesting what the more orthodox color photographs of the place feel like whenever I come across some. Real stroke of synchronicity this, actually, as I’d been revisiting your Leica archives the past week. Especially the M-240 review and subsequent pieces. But mainly the M-240 review. I may have looked it up on four or five days of the seven. I kept going back for one reason: one of your pictures. It’s just stayed with me since I first saw it months and months ago. This one. How did you meter for that Ming? Guys? P/S I appreciate you’d need a camera with great dynamic range to make possible this [kind of] shot; but I’m try try trying and I can’t even get close. I’m still stuck on binary one or the other exposure outcomes. I can dodge people’s faces out of the shadows, but I don’t like it; and your shot doesn’t seem at all like you did that. It’s too close to natural [what I’d see with my own eyes if I were there] no? I’m using spot metering and I put a bit of the face and a bit more of the bright background in the spot and hope. But as I say, it’s not really satisfactory [the results aren’t]; and with a moving target super difficult, admittedly. Not crucial, but just out of curiosity, it’d be interesting to know the M meter mode you were in for that shot and these above, too. In the M-240 review you quite rated the M’s matrix metering [off the sensor]. Considering your general view, laid out in the metering articles, that we can’t really trust anything outside of center-weighted on most cameras, and in fact matrix is usually to be actively avoided, that’s saying something. Actually, I think you quite liked the results from matrix metering on the Coolpix A too, no? The scene: rainy night in Tokyo, a dark night, but lots of shop neon shining out onto the wet street; traffic lights on red, this was a big street but only one car there, waiting at the lights in the rain; its headlights, the red traffic lights, the flashing neon, the rain, the quiet and the slight menace of that single car made a real nice mood. I was the only one there to see it. And with my camera! You bet I walked out into the middle of the road and went about making a frame!… and thought I’d GOT IT! I’ve got plenty of color ones here. As for metering…most of the time I’m either in spot or manual; in this case, the 240’s non-CW modes require the shutter open and a) some delay to recycle it to capture and b) significant battery drain, so I was running in manual. A trained eyeball beats a potentially flaky meter any day. That said, matrix off the sensor is generally good because it’s very easy to program something that says ‘expose until 1% – or however many % of the image area anywhere clips’ – at least that’s how I’d do it. If it’s crappy, then there’s probably something wrong somewhere – perhaps too much bias towards the center or the active focus point. The trick to this dodging/ burning is never to dodge your shadows or burn your highlights, as counterintuitive as it may seem as this is the visual outcome you want. This is what creates the odd tonal overlaps. There’s obviously significantly more subtlety to it than that (which I do cover in my PS videos 🙂 but that should help significantly. Thanks Ming, does help. Yes, I’d like one of your videos 🙂 Is the content available on the iTunes store [the “compendium” app] coincident with what’s above under “teaching store”? And thanks for the color cuts! Yes, they’re the same videos – but thanks to the one-way nature of iTunes, if you want to view the video on your mac, then get the teaching store version (you can always add this to your iPad, but Apple doesn’t let you do the opposite). Thanks for the order, Tom – I just sent you the download link. What on earth happened? You’d have thought if you did similar transactions frequently the algo would be smart enough to figure it out, but I suppose it just stays on the side of suspicious for them to flag it. I had a similar story when I got my first credit card in Malaysia – every time I went to my usual camera dealer I’d get a call from the bank. They figured it out after about six months, and I’ll get a call if I order something costing $100 online, but not $10,000 from the dealer…which I suppose is worrying too, in some ways. Not to worry Ming. I’ll get it straightened out and bag myself a video C, soon! By the by, I just sit tight and wait for a link, or some such, to come my way, yeah? 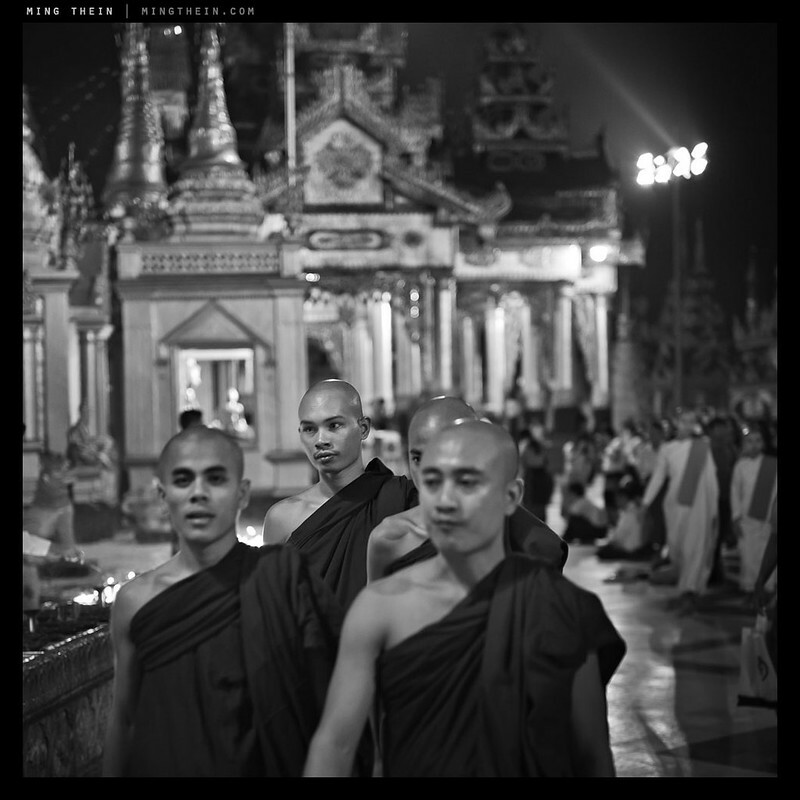 You tell a great story with these photos and they lend themselves well as black and whites. You seem to have Ming got more out of your M 240 images than anyone else I have seen and I have been looking with great interest, and to quote another blog site of which you have been on, the new M 240 images have been underwhelming of which I have to agree. Some other well known blogs who have been almost pushing the new M 240 have put on images which to be honest are terrible, yours on the other hand seem to work both colour and b&w and move me to want to buy it. So here’s the question what are you doing different. Are you buying the M240 production camera or are you waiting for loaner to retest? You would have made excellent photos of this place with many other cameras – but an average photographer would have made average photos, even with the Leica in his hands. The quality of these photos has to do with catching the right moment, having an eye for light and shadow, being able communicate with people whom you photograph. All these things can be learned, if one takes the time. Spending money on the ”right” camera doesn’t help that much. Would you have preferred to shoot this essay with a different camera (no consideration to travel constraints – size, weight, etc)? If I wasn’t testing the M 240 at the time, I’d probably have done it with an OM-D. 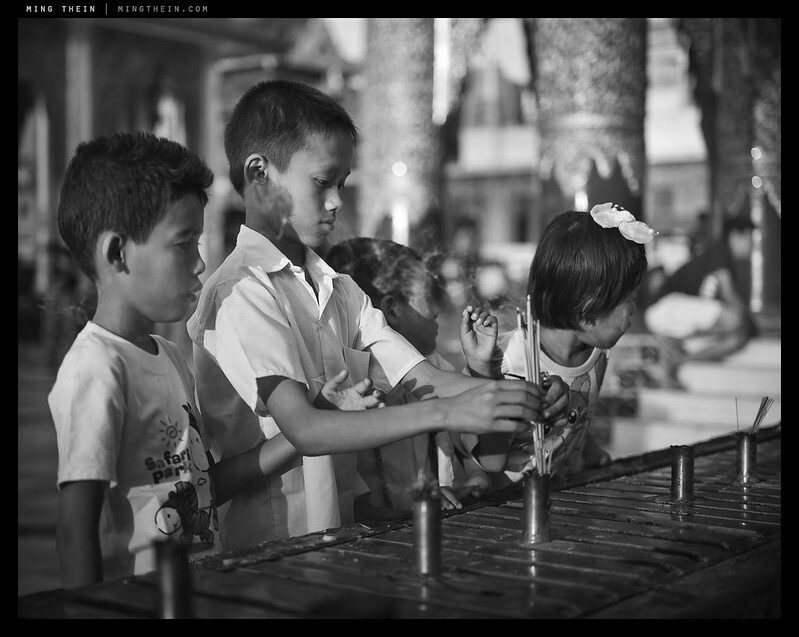 If there were really no constraints and the output was pure B&W, I’d probably have used my Hasselblad and film. I am always surprised about the crispness of your photographs. Could you please reveal what you are doing in post processing? Thanks for sharing your secrets. Regards Heiner. Wonderful work Ming. 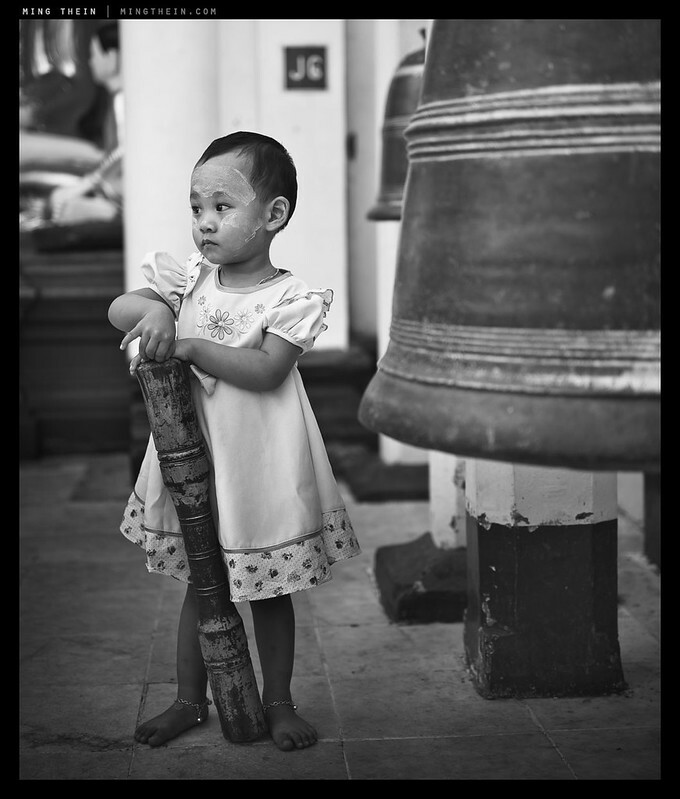 I love the photo of the little girl with the Bell. What was her story, was she posing for somebody else when you took that? She was there with her parents – didn’t appear to be posing, have no idea what she was doing. A casual familiarity with the bell and clapper suggested it probably wasn’t her first time there, though. Great shots as usual. The bokeh on no 3 and 5 is a little bit “nervous” but I also like those images from a world far apart from mine. It seems that’s a trait of the 50 APO – I don’t see this on my 50 lux ASPH. your description and even more the photos decribe the atmospherre of the pagoda and the visting people in a wonderful way – I vistited it in May 2012 and have to admit, that your photos are much better than mine! 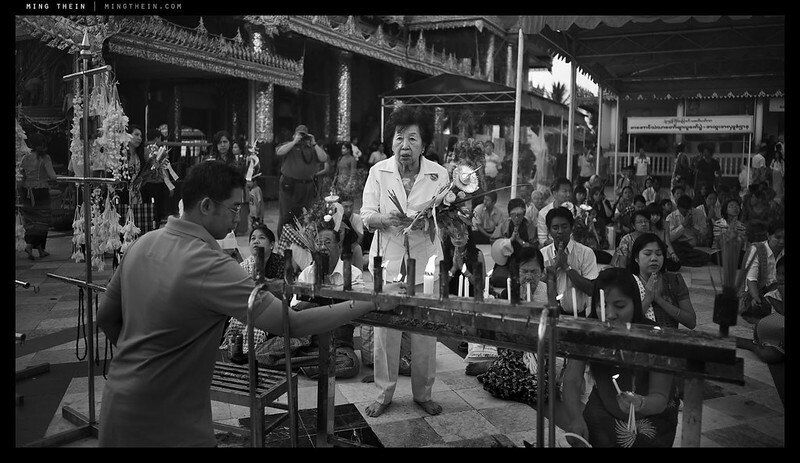 I saw all these scenes myself, sat down with the local people (laymen and monks) for a chat and performed some of the religious rites myself. 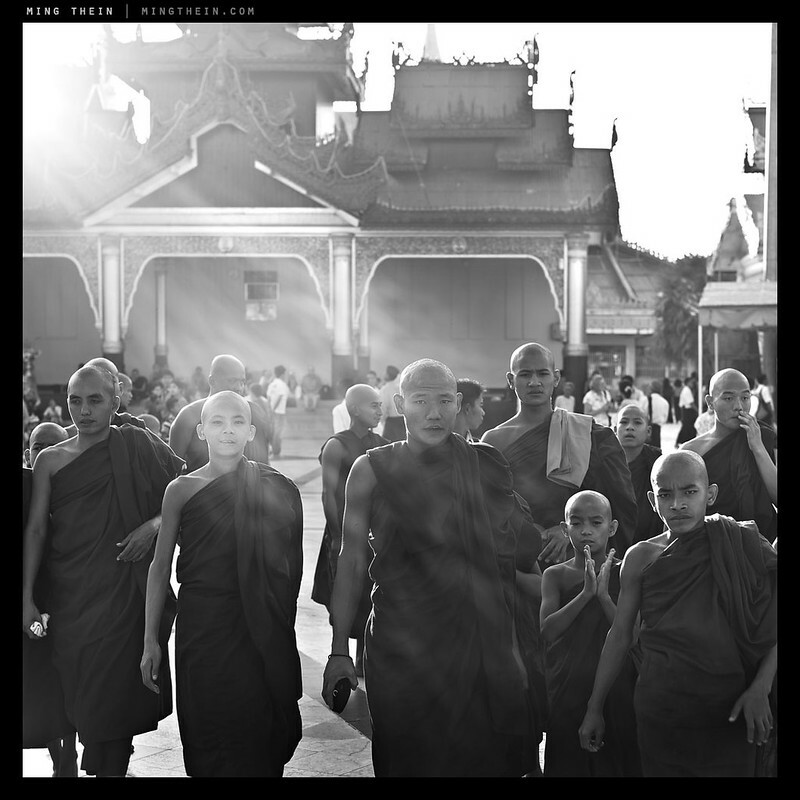 The Burmese people are very special, their kindness and devotion to Buddhism reminds me a lot of Tibetans. I can only advice to make a trip there before Starbucks gets there (at least they were not there last May). For the camera: very convincing photos, I never liked the B&W images of the Monochrome, at least what I saw on the intermet and could never understand why someone buys it. Your photos are magical. Thanks Heiner. These were all shot with the M240. One of the reasons I keep coming back is your consistency in your images. 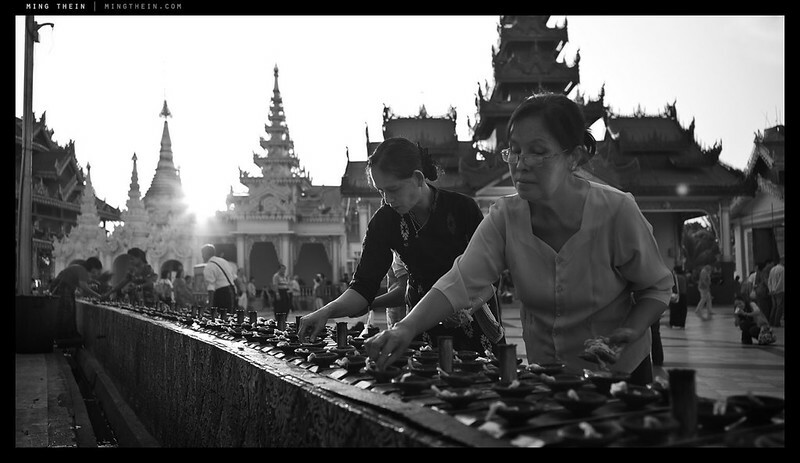 Another great set that compliments your first set from Burma. Unlikr other peoples discussion I’ve read, It proves to me that vision, technique and excution is far more important than any other discussion between the monochrom or m typ240. I’ll continue to work, develop and define my own vision while I’m still waiting for the m 240. (I’m upgrading from a m3). That being said, have you found it easier to work from a monochrom file or a M typ240 file? Thanks Jason. Both require work in different ways – the MM is about dodging and burning; the M240 is about color correction. Neither one is what I’d call easy to postprocess. The amount of post processing required for the m240 to get the colors correct scares me a bit. I’m on the waiting list and am considering forgetting it for now till Leica sorts out its WB and colors a bit more. As a frame of reference, do you consider the latest Nikons and Olympuses (Olympi?) easy to postprocess? I’ve been slightly taken aback by how little work the Coolpix A seems to need compared to my old D700; colour and to a lesser extent tonality still require some work, but much less than I’m used to. Is this the result of a newer sensor and several years’ improvement in camera profiling by Adobe, or am I simply seeing my new camera through rose-tinted specs? Either way, it almost feels too easy… perhaps smaller tweaks are now the order of the day? Yes and no – the D800E is actually rather flat most of the time because of its huge dynamic range; it gives you more output options, but is still fairly easy to process. The OM-D is very easy to process and requires little work. The A requires little work for color, but a moderate amount of work for B&W; the Leicas are all definitely on the high side of the spectrum. Really interesting to hear your insights, thank you. It seems that with each generation of digital cameras, post-processing becomes less of a damage limitation exercise; we can now spend more time on the creative aspect, making the ability to pre-visualise what you actually want to get out of it more important than ever. A lot of digitals do. But I think they still fail to replicate what film does because you’d have to do local dynamic range and tonal adjustments (i.e. dodge and burn) to get close – the problem is, no camera is smart enough to know what to dodge or burn…and the camera that requires the least tonal postprocessing is my Hasselblad. Scan, invert with the same action, spot for dust if necessary, done. It’s to do with linearity/non-linearity of film vs digital and transmissive exposure of the flash; I find if you consistently meter your negs to say middle gray, or use a fixed flash power, then the amount of compensation required is fairly consistent and can be dialled into either your raw presets or your action. Ah, I’m scanning in the literal sense, with a negative scanner; I presume exposure therefore /is/ consistent. To be honest, I only find the preset needs overriding in relatively extreme cases of over/under exposure, so it might just be my fault for not nailing the exposure at capture time (in any case, they’re shots that are not likely to be shared under the Outstanding Image rules!). Incidentally, the actual process of scanning with a negative scanner is utterly miserable. I can see why you took the trouble of building that custom rig. Music to my ears 🙂 There’s something decidedly “1999” about negative scanning software, even though they very much charge today’s prices for it. Something I’ve learned from you is that life’s too short to have 10 different, inefficient workflows for everything that you want to do. Thanks Lawrence – how long ago were you there? i was there in november to visit my friends and relatives. Very rich tones. Have seen all this on flickr before but I don’t mind looking at all of them again. I also like seeing them again. I like the story around it and now I know where Shot #4 was taken which is something I thought I would never know. Lovely work. 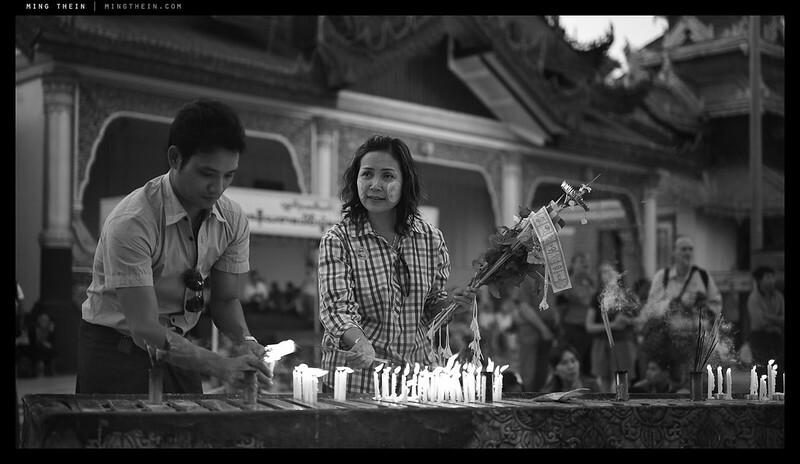 The B&W seems to really distill the emotional content it its essence. And I agree, it does convey a ‘throw-back’ feeling. Thank you, Ming. Except for the 1st image they’re all good, but the 4th image is a killer – the best of what B&W can be! Thank you for your inspiring posts Ming. I really like #1 but # 4 is my very favorite. Thanks – out of curiosity,what didn’t you like about the first one? I’m not sure what is being seen in the 1st image that makes it not good. I think it’s a fantastic cinematic shot. Lovely work. I’m busy trawling through the over 800 Flickr pages of yours from the very beginning. There’s some undiscovered treasures in there. Lovely set Ming, visited the very same some years ago, and indeed took all in colour, the B&W really does show it in a very different ‘light’, more focused on the personalities in a way. Really enjoying the blog as ever. Keep up the great work. Thanks. Beautiful tonality, nice memento of your trip. To my eye, two things take away from the overall goodness. The images are sharpened too much and detract from the wonderful tone and mood. The disparate frame ratios throw off the continuity of narrative and perspective. Also, in the image with the four monks, the dodging or burning looks apparent. I’ve said this dozens of times already, but it’s flickr’s resizing algorithm. They sharpen on downsizing, and unfortunately there’s no way to cancel this out. If you click through to the original size, you’ll see it’s fine. That reminds me–might I suggest that you have the images open in a separate window, if possible? It’s easier to close a separate window and click on the next image rather than hitting the back button several times in order to see the next image (I like to look at the original sizes images). Especially on my sometimes slow connection. Wonderful set of images, btw. That’s a flickr issue. I have no control over the back end once you leave WordPress. You could always open in new windows by control or command-clicking them.